Leah Arington is the primary voice instructor. (Leah's bio can be found by clicking here). Beginning piano instruction can be included in your private lesson experience. For more information on private lessons with Leah, contact her directly at leaharington@me.com or by calling (608) 322-4549. For more information regarding only piano lessons, click on our Staff bio page here, scroll down, and read about our piano instructors, Lauren Hackenmiller and Tyler Larson. *Lesson tuition is due at the beginning of each month. Fundamental breathing techniques are at the core of all good singing. A good portion of each lesson is devoted to learning the mechanics of these techniques. Exploring the physiological reasons for good posture and effective breathing is introduced when the student is old enough to begin understanding the science behind what we aim to do as singers. The voice can be a frustrating instrument as we are not able to correct pitch accuracy and tone by adjusting buttons or simply putting our fingers on the right knobs or keys. As a voice teacher, I feel it is important for each student to understand how his or her instrument works and why. The voice is, in my opinion, the most personal musical instrument as it is not just our vocal cords that we call upon, but rather our entire body. A good singer sings with both excellent technique as described above, an emotional connection, and physical representation of each song. My philosophy is to integrate these elements in to each lesson slowly as the singer begins his or her technique training. The elements of expression and poise then become the focus of lessons when a solid technical foundation is built. It is then time to encourage each student to develop a strong emotional connection to each song they sing. Calling on personal life experiences and developing a strong and vivid imagination, as the techniques of Stanislavsky describe, is the key to this process. Presentation also includes information regarding appropriate dress, behavior, and etiquette in venues they may encounter as artists. Learning how to accept praise and criticism is also part of the process. I would be remiss to leave out this very important category of learning how to sing. Everyone's voice matures at a different rate. For instance, esteemed vocal pedagogy experts have proven that a female opera singer will often not have a fully matured voice until sometime in her 30's. This is comforting and frustrating at the same time. 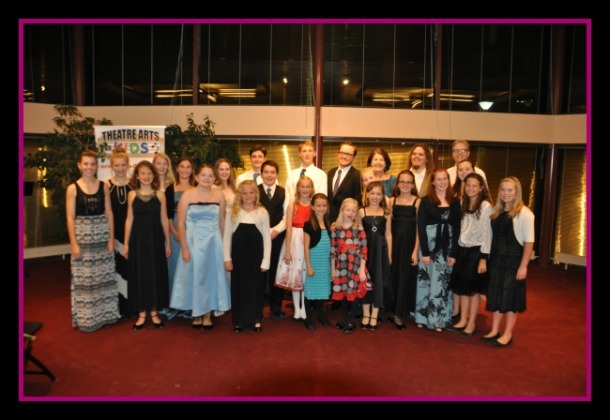 Each voice student will go through many different stages of vocal maturity. (The adolescent female may experience a challenging time during puberty when an "airy" sound is produced.) Range and tone will vary throughout a singer's lifetime as well. The good news is that pursuing voice training continuously during these phases will ease frustrations and put the student in good stead in the future.